White Paper Published By: Neustar Inc.
As the digital universe evolves in both volume and scope, companies must be diligent about protecting their content. In addition to theft prevention, they must manage access to live streaming and downloadable content. Unfettered access can result in an onslaught of potential repercussions – from the outright cost of theft and government penalties to brand damage. Fortunately, companies can easily leverage IP information to protect themselves. 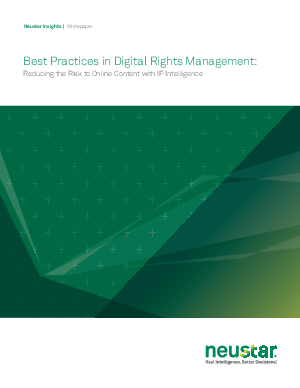 This paper explores the best practices of using IP intelligence for digital rights management to reduce risk to online content.